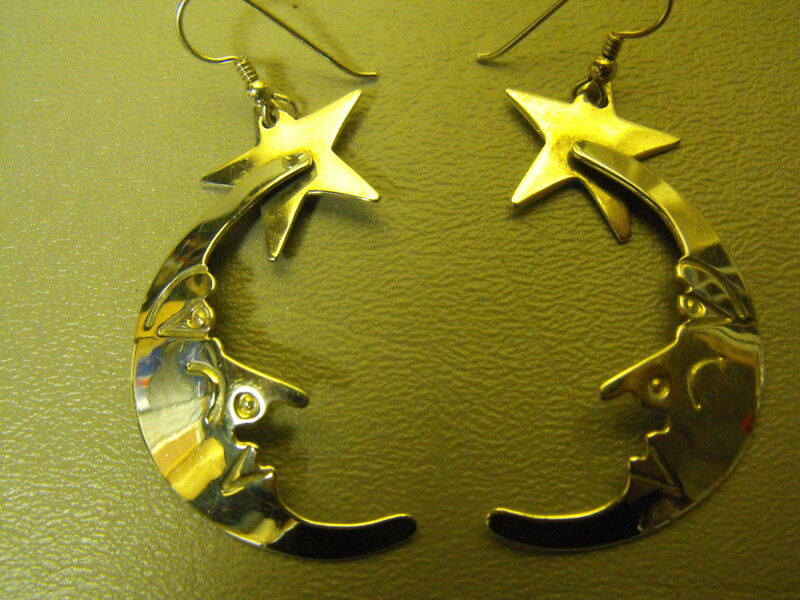 We can promise you the Moon & The Stars……well almost. 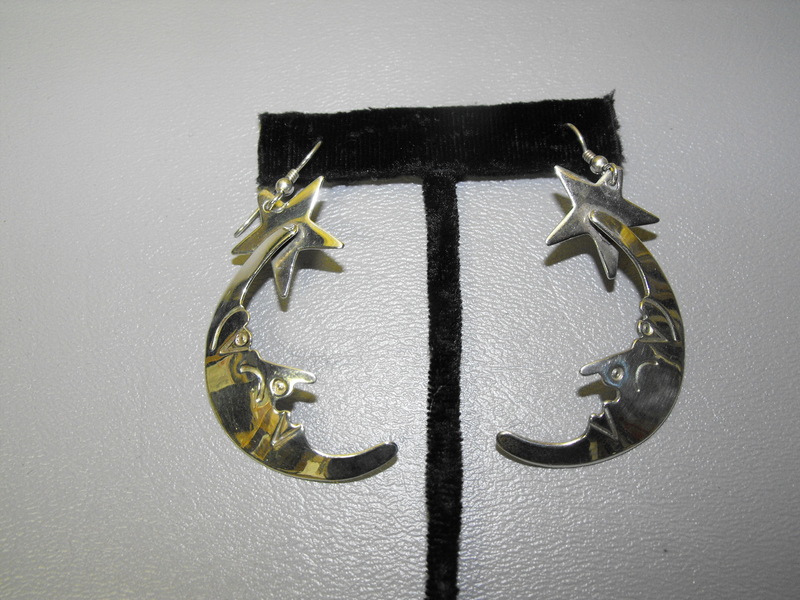 Here is a wonderful pierced Sterling Silver earring set designed and signed by the wonderful artisan Grady Alexander of New Mexico. 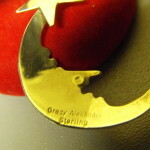 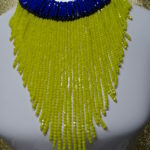 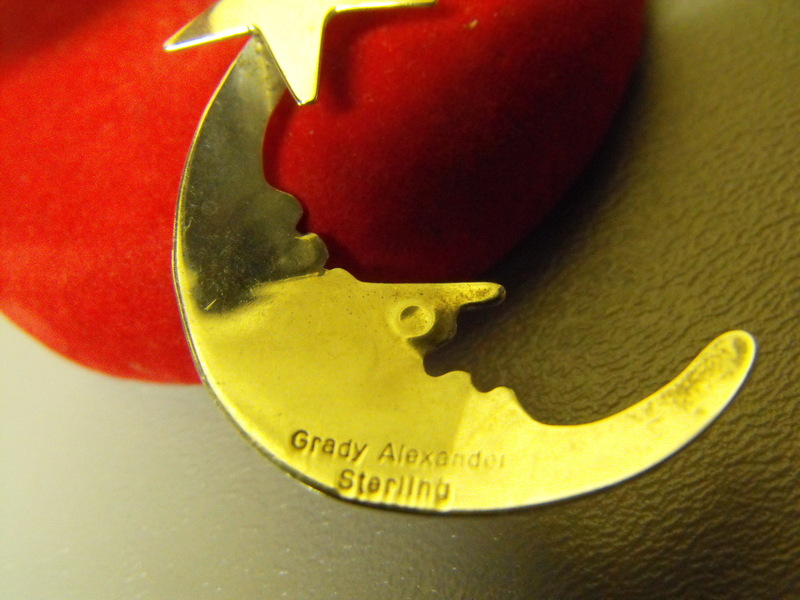 Grady Alexander jewelry is very collectible and in demand. 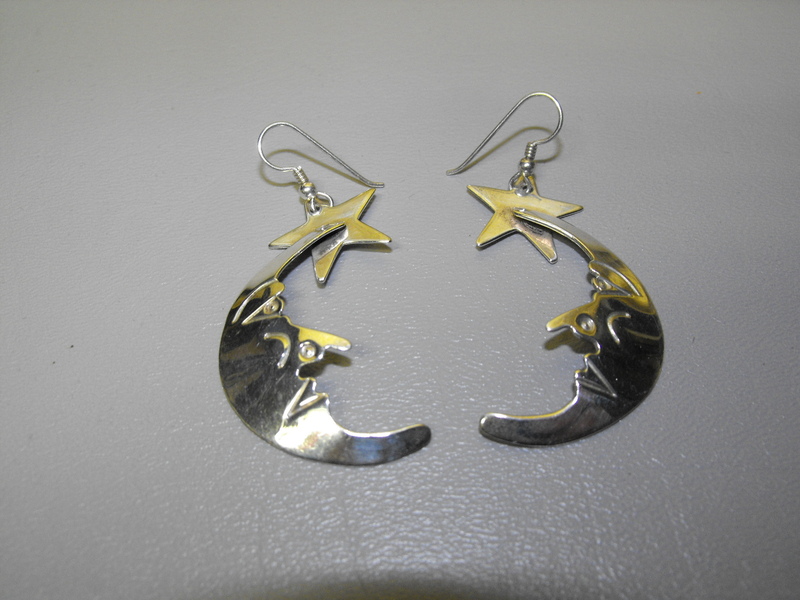 The theme of the earrings are The Man In The Moon and one lovely star to light the way. 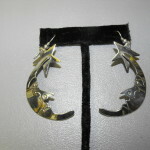 The earrings measure about 1 3/4″ long and are very light weight. 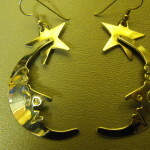 There is some age to this pair although we don’t know how old they are. 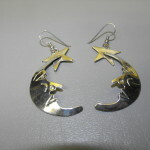 They are also previously worn and do bear some usage marks, but we think they do not detract from their uniqueness. 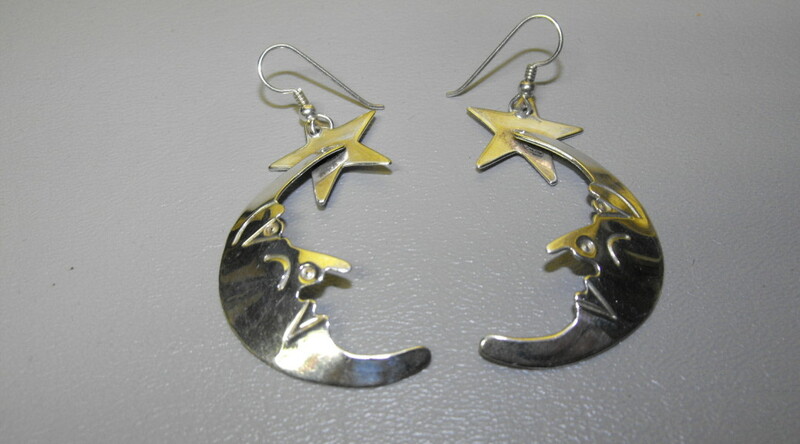 So……if someone once promised you the Moon & The Stars, but it never came true, you can do something about it now.